It's been three weeks since she went missing, but her family won't give up hope. 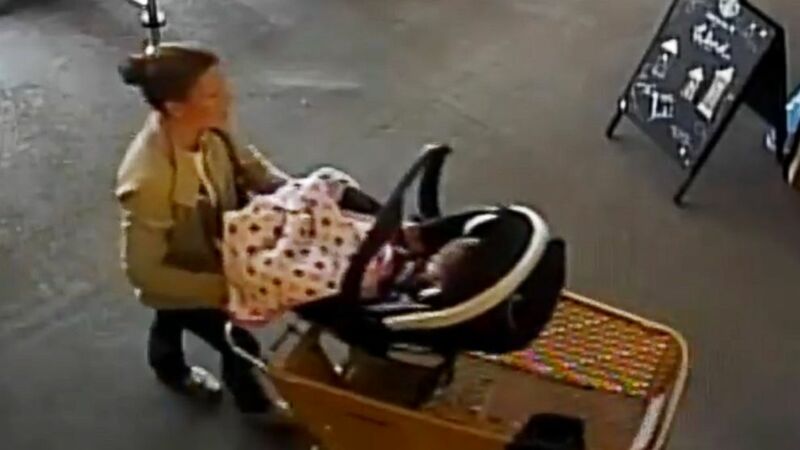 It's been nearly three weeks since Kelsey Berreth, a young mother from Colorado, went missing, but her family and friends said they refuse to give up hope. "There's gotta be somebody that saw something go on there, and if they would get in contact with the police department, so they can get to the bottom ... that would be the greatest thing," Jim Morgan, a close friend of the Berreth family, told "Good Morning America" on Thursday. "God is powerful and he answers prayers, and I'm just encouraging everybody to lift the family up, lift Kelsey up in prayer." Berreth, a 29-year-old pilot, was last seen entering a Safeway near her home in Woodland Park, Colorado, on Nov. 22, according to surveillance footage from the store, but her fiancé, Patrick Frazee, said he saw her later that day. Berreth's mother reported her missing on Dec. 2, police said. The FBI confirmed on Tuesday it's assisting local authorities in the search. "Three weeks is a long time to be missing," he said. "We still have hope that she'll be back and God will bring her back to us, but we certainly can't guarantee that." Morgan said he's known the Berreth family for almost two decades. "In this world, good things don't always happen, miracles don't always happen, but fortunately God is with us through it anyway," he added. 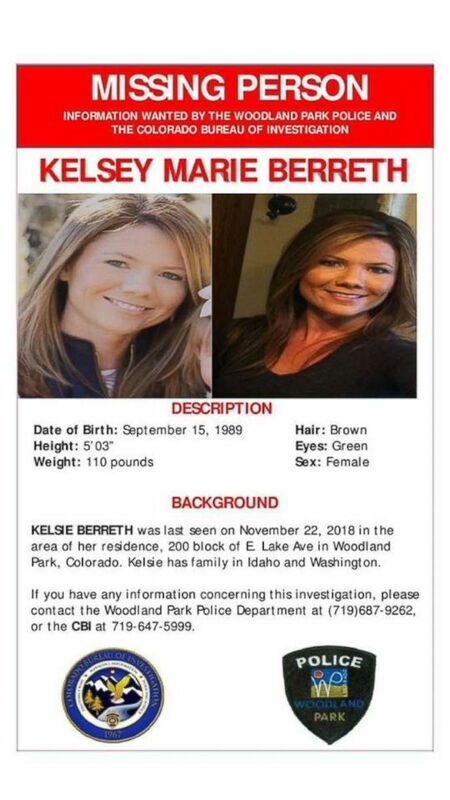 (Woodland Park Police Department) A missing person poster for Kelsey Berreth. Morgan described Berreth as a loving, caring, kind woman -- someone who would do anything for her loved ones. "She was my son's first babysitter, and he really liked her. That speaks highly to her character," Morgan added. "Her dad is one of my best friends at this point, and we are talking regular trying to help him through a really tough time." Neighbors and friends are scheduled to hold a candlelight vigil at Memorial Park in Woodland Park Thursday night, according to the Woodland Park Police Department. 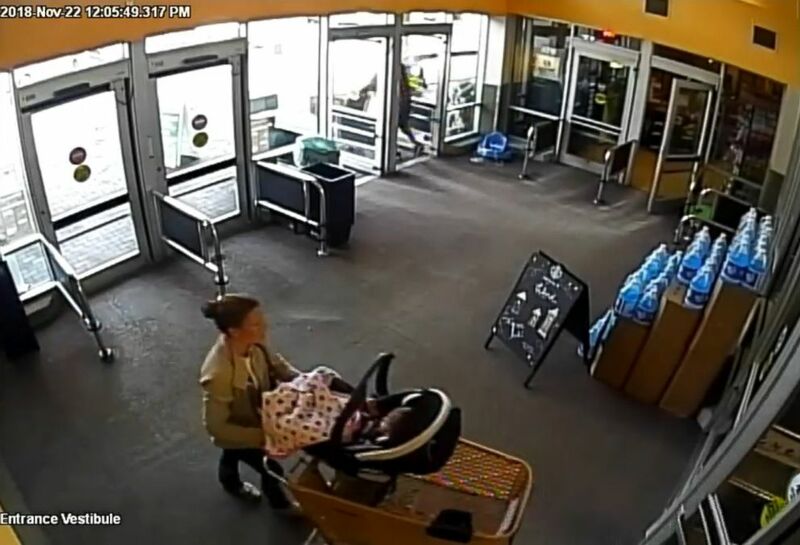 The footage of Barrett at the Safeway, released by police Tuesday night, showed her entering with her baby in a car seat and getting a shopping cart. It's the last confirmed sighting of her. There were no leads or suspects as of early Thursday.